Lose the paperwork. Communicate easily. Improve productivity. This people performance software is an intuitive solution for improving your human resources, communication, and training. With Deer Creek software, you know your organization will be in the position to properly handle situations. 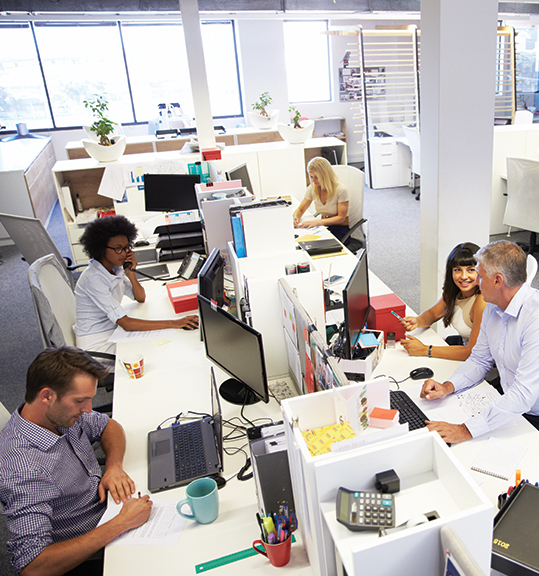 You will be able to release documents and policies to your employees and train on critical information as you determine the need to do it – all in a paperless environment.Your internal communication and productivity will improve. Your internal communication and productivity will improve. Employee receipt of information and training is completely documented in a format that is easy to read and access. Everyone on your team will be on the same virtual page. The best part – this software is intuitive and easy to use. There are no installation or usage issues. We believe that technology should be easy-to-use in order for it to be useful. And it is. The learning curve is very short because we designed this technology with you in mind. It is very people-oriented. All training and support are included – free. We offer 2 separate personnel software suites – Document Management Software (DOCS) and Early Warning System (EWS) for proactive training and early detection of any potential issues. 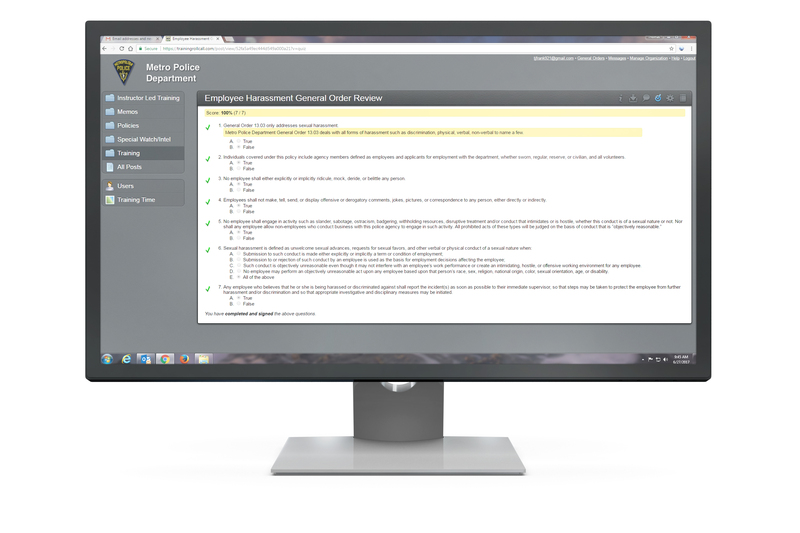 Release documents, policies, memos, and training to any group of employees. Track use, receipt, and views. Train with quizzes, gain feedback, and much, much more. Compile easy-to-read graphs and charts that enable management to view problems with employees, shifts, or training. 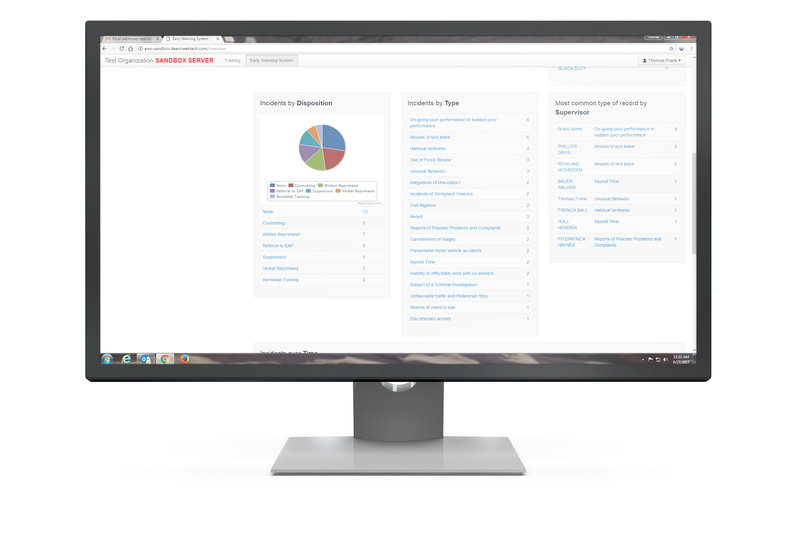 Track incidents, complaints, or any other metric important to your agency. All of this is done on a secure connection and your data may be backed up locally in addition to our own daily backups. And, it all works in the cloud… so there are no software worries or concerns. As the leader of your organization, you face many concerns, chief among them is the ability to train, review performance and limit the exposure of your department. That’s why this software was developed to meet the needs of managers, by taking input from current heads of organizations, HR professionals, risk management experts and end users. This software is based on real issues that you face every day and the critical need to inform, train, document, retain records and improve. So lose the paperwork and gain productivity. 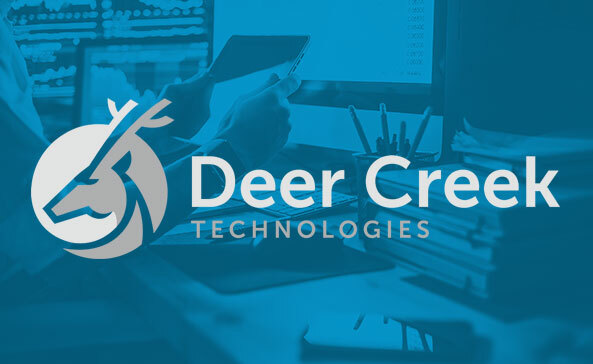 Shield your organization, the good people that work with you and for you,… and yourself with Deer Creek Technologies. Don't just take our word for it. Take it for a spin.